DZ Big Training Days offer a solid training experience for all triathletes, from the newest beginner to the most seasoned veteran. 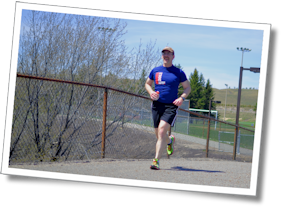 Head Coach Mike Coughlin specializes in providing group training where athletes of all abilities can train together and support each other in a fun, social event. Athletes can register online or at 8:00 am at the Big Training Day. Cost is $59 + HST, and your park admission is included, just tell the rangers you’re with Discomfort Zone. DZ Multisport and DZ coached athletes receive a discount. Big Training Day registration begins at 8:00 am at the transition area near the main beach. Training begins at 8:30. Plan to be early enough to register and be ready to swim at 8:30. 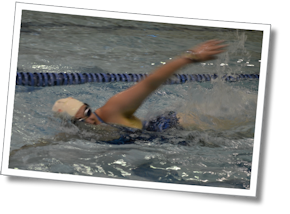 There will be an option for early swim warmup for those athletes looking for a longer swim. Come prepared for Big Training Day as you would for a race. 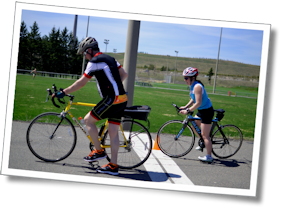 Check out the triathlon-events-gear-list for what you’ll need. You will be outside for the day, so be sure to pack gear for weather changes and sunscreen. We’re happy to assist athletes who need equipment, just let us know ahead of time by registering online. A wetsuit is strongly recommended. Big Training Day will go ahead, rain or shine. The only exceptions are unsafe conditions like lightning or excessive heavy rain. In these cases, we will attempt to modify the schedule to permit the maximum training value possible given the conditions. DZ Big Training Days are meant to be fun! 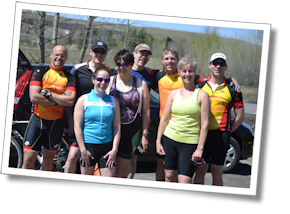 One of the best parts of a triathlon training day is meeting new friends and hanging out with fellow triathletes. We run fun, social workouts in a relaxed, inclusive atmosphere where triathletes can help and encourage each other. 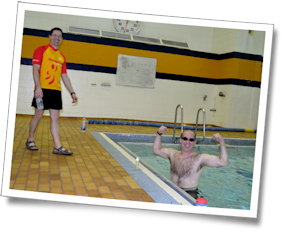 We encourage swimmers, cyclists, and runners to join in for a little cross-training. Everyone is welcome! You can also check out the Big Training Days FAQ (Frequently Asked Questions) for more info, or Contact us and we’ll be happy to answer any questions! Meeting place is the area used for race transition at the Guelph One and Guelph Two triathlons. Google Map here. You can also ask the rangers at the gate for directions. 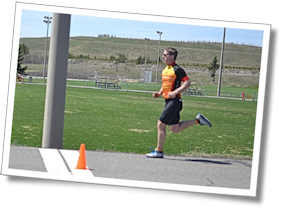 DZ will be running an optional half-iron simulation workout concurrently with Colossal Training Day: Guelph Lake 2014. Interested athletes may join our DZ athletes participating in this 2/3 distance race simulation workout instead of some of the normal Big Training Day activities. This option offers the chance for athletes racing the half-iron distance the chance to perform a supported peak workout in race-day conditions, practicing race nutrition, race transitions, and race strategy. It doesn’t hurt to have the athletes in the Big Training Day cheer you on, either! 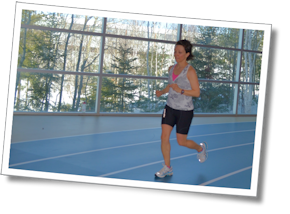 This option is ideally suited for athletes racing Ironman 70.3 Mont-Tremblant. Emphasis will be on skills or fitness based on the needs of the individual athlete.